Criss Angel is considered the most influential performer in magic today whether on his worldwide #1 television series Criss Angel MINDFREAK or on stage in his spectacular live show BeLIEve at the Luxor in Las Vegas. 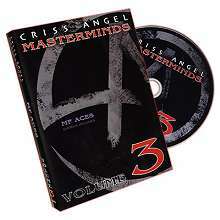 On this DVD, Criss Angel release MF Aces, another amazing routine in the MASTERMIND series. 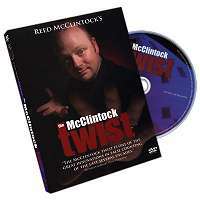 Criss featured this mind-blowing twist on the classic 4 ace assembly routine on MINDFREAK season 4 and Criss now presents it to you exactly as he performed it on television so that you can have the best ace assembly routine ever created. 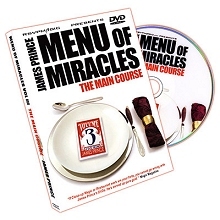 The actual TV demonstration is included on this DVD. Watch as the aces disappear one at a time in the cleanest and fairest manner possible and all appear in a pile set to the side. The vanish of each ace looks like real magic yet are easy to do. This is a stunning routine that you will DO. MF Aces is performed and taught step-by-step by Criss Angel and close-up guru Joe Monti. 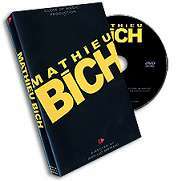 This comes with the gimmicks that enables you to perform this close-up effect anywhere.